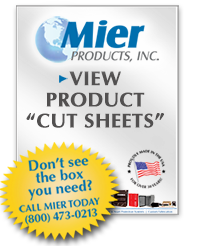 Mier Products’ NVR, DVR and CPU Lockboxes are designed to protect the most vital element of your security system. 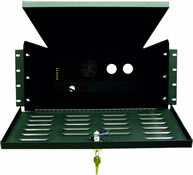 In short, these lockboxes protect the equipment that protects you! 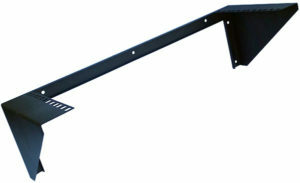 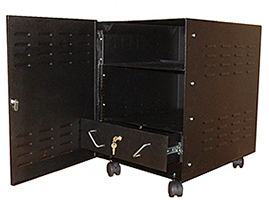 Scroll down to see standard, rack mount and tower lockbox models and features. 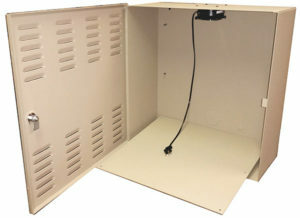 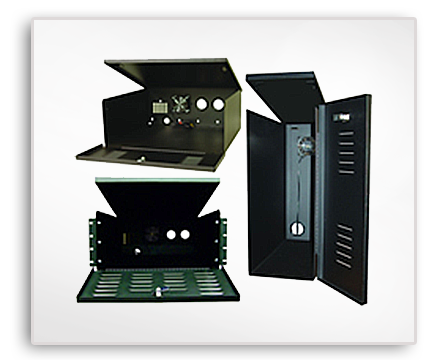 Go to Temperature Controlled Enclosures to see Outdoor DVR Lockboxes. 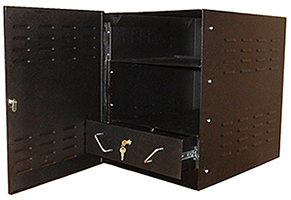 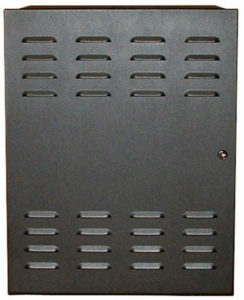 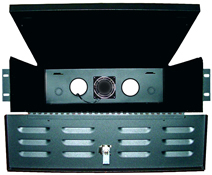 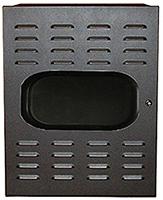 Our DVR, CPU & VCR Lockboxes are durable and painted with textured black powder-coat finish. 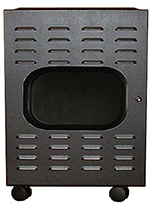 They include a 120 volt continuous-duty fan (12 volt available) that works in conjunction with the louvered design to provide maximum airflow.